December 1, 2010 November 2, 2017 by Rachel KarmanLeave a Comment on good game. November 30, 2010 November 2, 2017 by Rachel KarmanLeave a Comment on xmas shopping. November 24, 2010 November 2, 2017 by Rachel KarmanLeave a Comment on oh so greatful. 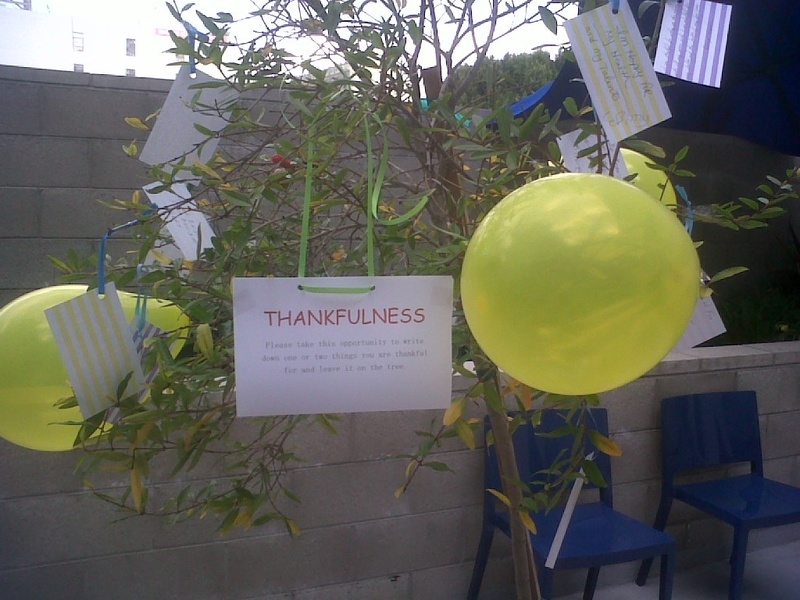 The highlight of my Thanksgiving Eve today at work was a “Tree of Thankfulness” that I put together, to give my residents an opportunity (read: forced) to reflect on what they are thankful for, write it down on a card and hang from the tree. November 16, 2010 November 2, 2017 by Rachel KarmanLeave a Comment on coyote not-so-ugly. Each month the folks I work with are required to attend a community meeting which myself and another co-worker facilitate. This last month’s was a nightmare; it reminded me a lot of when I used to substitute teach crazy rowdy classes, only instead of standing in front of 30 screaming and yelling students between the ages of 5-18, I was in front of 40 cursing and threatening formerly homeless men and women between the ages of 27-70. October 21, 2010 November 2, 2017 by Rachel Karman1 Comment on mis-matched. October 20, 2010 November 2, 2017 by Rachel KarmanLeave a Comment on joke telling. While waiting for group to start this afternoon I asked one of my residents if he knew any good jokes. Mr. RR: Why did the man stop the roller coaster when it was upside down? Mr. RR: So he could catch the money that fell out of people’s pockets. Me: That’s a real joke?? Mr. RR: Nah, I just think it’s a good idea.